Situated in the crux of Central America, Belize is the only English speaking country in all of Central America. The country is most prominently known for its organic products such as signature hot sauce, homegrown coffee and of course, the Belizean chocolate. Belize is enriched by a deep-rooted Mayan heritage. Here are the top 5 steps to do business in Belize. Step 1. Work Out A Business Plan. A business spells out the very crux of the nature of the business, the business ideals, the future objectives, financial goals, their marketing and sales strategies to accomplish their objectives and goals. A business plan documents everything the business would stand for and acts as guidelines for operating the business to achieve the projected sales objectives. A Business plan helps identify internal strengths and weakness and external threats and opportunities of the business. And thus, enables optimal use of resources and effective allocation of funds. Step 2. Gather all legal requirements. In order to set up a business in Belize, ensure that you have the work permit in hand. The costs associating in acquiring this permit from the government fluctuate, depending on the kind of business and the state of the economy. Therefore, the best practice, in this case, is to consult a Belizean lawyer. The local lawyer will render services in assisting you to attain the right permit for your business to appropriately suit the nature of your business. It takes about 45 days to gather all the necessary permits. Situating a location to base your business. Registering your business as a local company or branch. Filing and finishing the necessary paperwork to acquire the trade license. Registering with the corresponding Social Security office. Complete the paperwork required to register with General Sales Tax. Applying and obtaining a Taxi Identification Number after registering with the Business Tax office. Step 3. Register and Incorporate the Business. 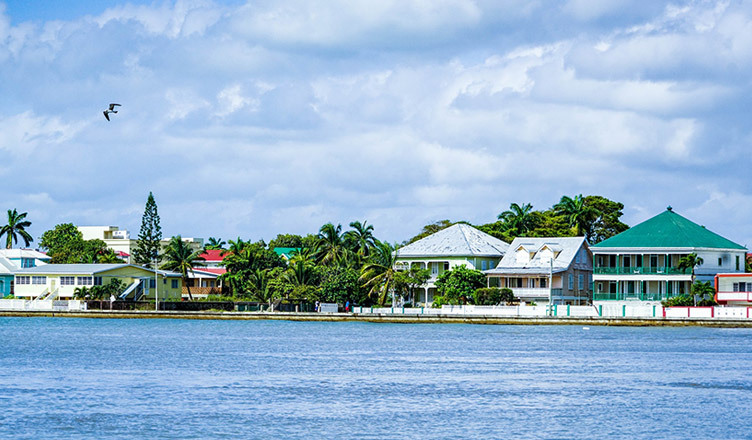 The Beltraide Association, a statutory Belizean governmental body, states under the Business Name Act and/or Companies Act that foreigners are prohibited to own or operate a business without first registering it. Through the Business Names Act, the law of Belize states that each and every company operating in Belize is required by law to register the business name. This can be undertaken at the Belize Companies Registry, Belmopan. The cost of application is Bz$25.00. The Companies Act states that the company must be incorporated in Belize to go forth with business operations. It requires the Memorandum of Associations and the Articles of Associations to be in check and handed forward to the Belize Companies Registry for further evaluation. Subsequently, a Certificate of Incorporation is created. The cost associated with applying depends upon the quantity of your business share capital. Step 4. Acquire a Trade License. To do business, ethically, in Belize, it is a legal obligation to acquire a trade license. This is legally enforceable under the Trade Licensing Act. The Trade License can be applied for at the local or city council. The recommendation for the Trade Licensing responsible for each city or town is the basis for the final approval. The costs involved in this procedure heavily depends on the percentage of the annual rental value of the premises and must be duly paid off within 30 days after the receipt bill is received. Step 5. Understand and Foster the Business Culture. It is a rule of starting a business in a foreign country, to understand and respect the culture and take additional efforts in adopting it within your business in a way which is friendly and conducive. Belize has a very lenient culture. Their expectations of promptness and pragmatism are often not too stern. Thus, their casual attitude towards business calls for a little extra time to get things done. Therefore, it is important to give the workforce extra time than traditionally given and there's no need to be anxious about deficiency in results. In short, we can say that Belize turns out to be one of the booming business ground. It opens a gateway to multiple business entities along different business industries. Now, it is to be kept in mind that the company establishment process turns out to be way easier if one is well-versed with the legal laws. The best option at this point turns out to have a word with a business consultant. Professional experts are well-versed with the legal aspects and can help you to set up the business process in an easy way. Business Setup Worldwide is an accomplished consulting company, specializing in guiding businesses setup process across the globe. We help out entrepreneurs and firms by providing updated and firsthand knowledge about company incorporation. We also provide revised and up to date information about the business environment for Company Secretary Services, Visa services, Intellectual Property Rights and so on. To know more, contact us – we’d be happy to help!